This is the Unit -4 section of CSIR NET Life Sciences examination syllabus. 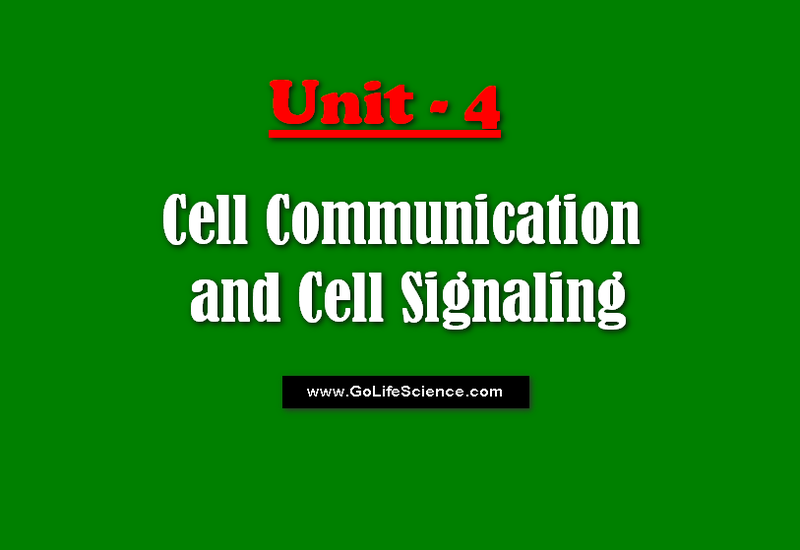 Unit name is Cell Communication and Cell Signaling. In this unit, Advanced Cell biology and Immunology topic are included. Host-parasite interaction: Recognition and entry processes of different pathogens like bacteria, viruses into animal and plant host cells, alteration of host cell behavior by pathogens, virus-induced cell transformation, pathogen-induced diseases in animals and plants, cell-cell fusion in both normal and abnormal cells. Cell signalling: Hormones and their receptors, cell surface receptor, signalling through G-protein coupled receptors, signal transduction pathways, second messengers, regulation of signalling pathways, bacterial and plant two-component signalling systems, bacterial chemotaxis, and quorum sensing. Cancer: Genetic rearrangements in progenitor cells, oncogenes, tumour suppressor genes, cancer and the cell cycle, virus-induced cancer, metastasis, interaction of cancer cells with normal cells, apoptosis, therapeutic interventions of uncontrolled cell growth. Innate and adaptive immune system: Cells and molecules involved in innate and adaptive immunity, antigens, antigenicity, and immunogenicity. B and T cell epitopes, structure and function of antibody molecules, generation of antibody diversity, monoclonal antibodies, antibody engineering, antigen-antibody interactions, MHC molecules, antigen processing and presentation, activation and differentiation of B and T cells, B and T cell receptors, humoral and cell-mediated immune responses, primary and secondary immune modulation, the complement system, Toll-like receptors, cell-mediated effector functions, inflammation, hypersensitivity and autoimmunity, immune response during bacterial (tuberculosis), parasitic (malaria) and viral (HIV) infections, congenital and acquired immunodeficiencies, vaccines.